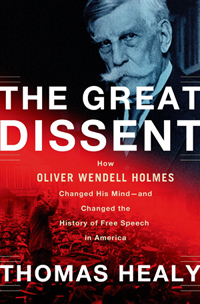 “The Great Dissent – How Oliver Wendell Holmes Changed His Mind – and Changed the History of Free Speech in America,” by Thomas Healy (Metropolitan Books, 322 pp., 2013). Frohwerk was convicted and sentenced to ten years of hard labor for his news articles and opinions. He was one of about 2,000 seditionists rounded up and eventually imprisoned by zealous federal prosecutors in the years of the Great War. His was one of four separate appeals to the U.S. Supreme Court in 1918, including that of Eugene V. Debs, famous labor leader, socialist and four time presidential candidate. All their various prison terms were affirmed by the Court, despite serious arguments that the freedom of speech protected their opinions on the War, the draft and other topics, as long as they had not directly incited imminent lawless action to disrupt the War effort. But today, almost 100 years later, the freedom of speech would prevent such persecution by the Justice Department for voicing the accurate or inaccurate opinion that the Great War was not one to make the world safe for democracy, in president Woodrow Wilson’s soaring rhetoric, but instead it was a war for colonial territory. This was revealed after the Russian Revolution of 1917 when the Bolsheviks published the secret treaties between the Czar, England and others on how they would divide up the world after they won their war which started in 1914. During the 1960s and 1970s similarly, we came a long way from 1918 when the freedom of speech protected protesters against the draft which was sending an army of over 500,000 soldiers to fight and die in Vietnam. In this book law professor Thomas Healy seeks to educate the interested reader on how the foundation for the free speech doctrine of the First Amendment to the U.S. Constitution was laid in the years after World War I. 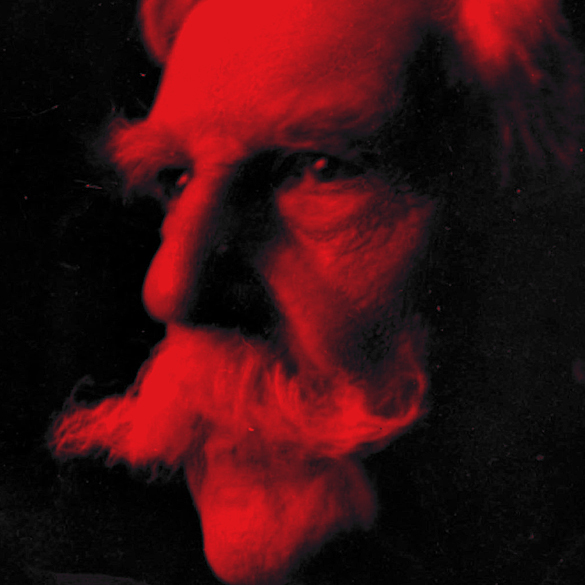 He does this by illustrating, through much research, how Justice Oliver Wendell Holmes changed his mind from once believing that all freedom of speech meant was that government could not censor speech before it was printed or spoken. But, once it was printed or spoken, all speech was fair game for criminal prosecution. The illogical argument for this claim was the fact that this is how the hated English did it at the time of the separation from Britain, and so, despite our Revolutionary War and Bill of Rights, we should do the same. It then was argued that the proof was the 1798 enactment of the Alien and Sedition Acts, where the federalists in a power grab against the republicans of Thomas Jefferson even made it illegal to speak ill of federal officials. (How would that go down today?) But the federalists overplayed their hand and were thrown out of office and went into oblivion in the elections of 1800 when Jefferson was elected president. But the lower courts had upheld convictions for speech as a crime under the English precedent that speech after it is uttered can be punished. In 1917 when America entered the War and sought to raise an army of three million soldiers the Russian Empire also fell apart over the next few years when Vladimir Lenin and other Communists seized power. Communist unrest then spread to German shipyards, its soldiers and even to the government of Bavaria. The unrest flowed world wide with a Red Scare or panic legitimately threatening all of capitalism. It even has been said that the politicians in England and France hurried the peace with Germany to calm their own populations who were growing ever restless from the tens of millions of dead littering the battlefields of Europe. In his most interesting sections describing the pit of fear which the War caused the country to fall into (similar perhaps to 9/11, with its loss of our liberties), the author powerfully narrates the new fears which swept over America after the armistice in Europe. (116-119, 143-146) These events included: Unresolved New Year’s Eve bombings in Philadelphia of the homes of the police chief, the State Supreme Court Chief Justice and another. The February arrest of 14 intended assassins of president Wilson. In March and April the police discovery of violent plots to overthrow the governments in Seattle, Chicago and Pittsburgh. Then 18 bombs were found in the mail intended to assassinate 36 prominent citizens, such as J.P. Morgan, John D. Rockefeller, Attorney General Mitchell Palmer, Justice Holmes and others. Next were May Day Labor riots in Boston, New York and Cleveland, followed in June by the simultaneous detonation of bombs in eight cities. And then, devastating July race riots exploded in New York City and Chicago, where in Chicago alone 38 died, 537 were wounded and at least 1,000 blacks were homeless. In the face of the War’s hysteria and the panic and disorder that followed, it is understandable that the Supreme Court was not inclined to enhance the protections of freedom of speech or to discard the English model. In fact it took until the 1940s for the Court to openly and clearly construct the modern edifice which is current free speech doctrine. Indeed, as the author explains, Justice Holmes, when he laid out his initial “clear and present danger” test for the entire Court, had no intention of protecting freedom of speech by moving to a more tolerant standard allowing protection of differing opinions in the eternal search for truth in a marketplace of ideas. Instead, the convictions below in the Schenck v. U.S. case in 1918 were affirmed. But then, for various interesting personal and other reasons, which professor Healy fully explains, Justice Holmes saw the light and in dissent in Abrams v. U.S. in 1919 planted the seed which grew into the current expansive free speech doctrine found in American law. Eventually, this dissent grew strong roots and the idea of freedom of speech for ideas with which you disagree took root. Tolerance for thought you oppose and which is not inciting imminent harmful acts won the day. Justice Holmes was an amazingly intolerant person in the eyes of this reviewer and his personality is fully developed in this study. What is revealing is that documents expose the fact that he was subject to an extensive lobbying effort behind the scenes in his private and public life to subtly change his mind on free speech doctrine. His vanity, loyalty to friends, and powerful intellect apparently made him quite susceptible to careful flattery and suggestion, as he was moved in the direction of a seminal change in his legal doctrines. Today such lobbying and manipulation of judges is supposedly frowned upon. But back then it seems that the ends justified the means since the persecution of dissidents was so excessive. The author also presents a history of persons at the time who through good lawyering or legal writing pushed for freedom of speech to prevent unjust criminal prosecutions. This work materially contributed to the result which is under study here. A lesson learned from this study is that a few people can make a big difference in the development of the law, for good or ill, one might add. Lawyers and the historically inclined should most enjoy this book. The casual reader may sometimes find it hard to follow. This book is not a biography, although in parts it tends to be biographical and once unnecessarily intrudes on the private life of the subject. This entry was posted in Archive, Featured - Homepage, Literature, Reviewed. Bookmark the permalink.